When former police detective Ted Conkaffey was wrongly accused of abducting Claire Bingley, he hoped the Queensland rainforest town of Crimson Lake would be a good place to disappear. But nowhere is safe from Claire's devastated father. Dale Bingley has a brutal revenge plan all worked out - and if Ted doesn't help find the real abductor, he'll be its first casualty. Meanwhile, in a dark roadside hovel called the Barking Frog Inn, the bodies of two young bartenders lie on the beer-sodden floor. It's Detective Inspector Pip Sweeney's first homicide investigation - complicated by the arrival of private detective Amanda Pharrell to 'assist' on the case. Amanda's conviction for murder a decade ago has left her with some odd behavioural traits, top-to-toe tatts - and a keen eye for killers . . .
For Ted and Amanda, the hunt for the truth will draw them into a violent dance with evil. 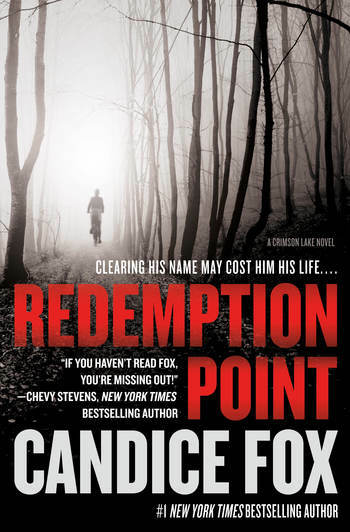 Redemption is certainly on the cards - but it may well cost them their lives . . .
CANDICE FOX is the award-winning author of Crimson Lake and Redemption Point. She is also co-writer with James Patterson of the #1 New York Times bestsellers Never Never, Fifty Fifty, and Liar Liar. She lives in Sydney.